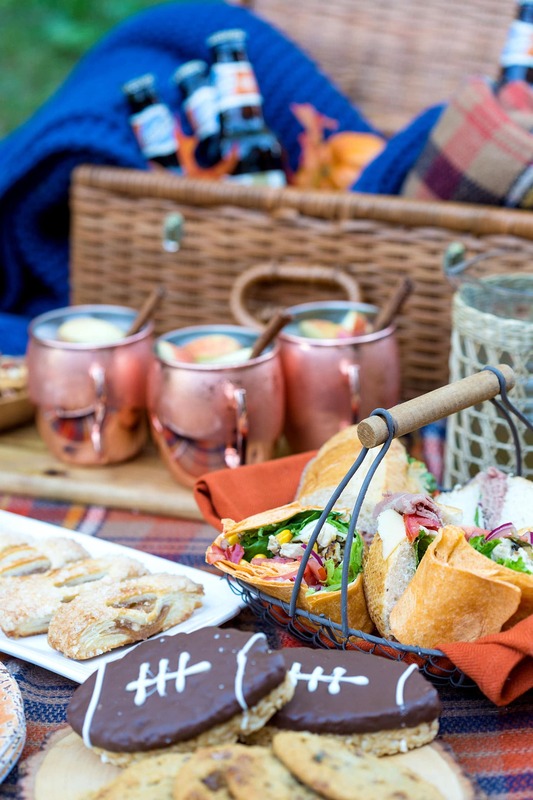 Let’s chat tailgate food, shall we? 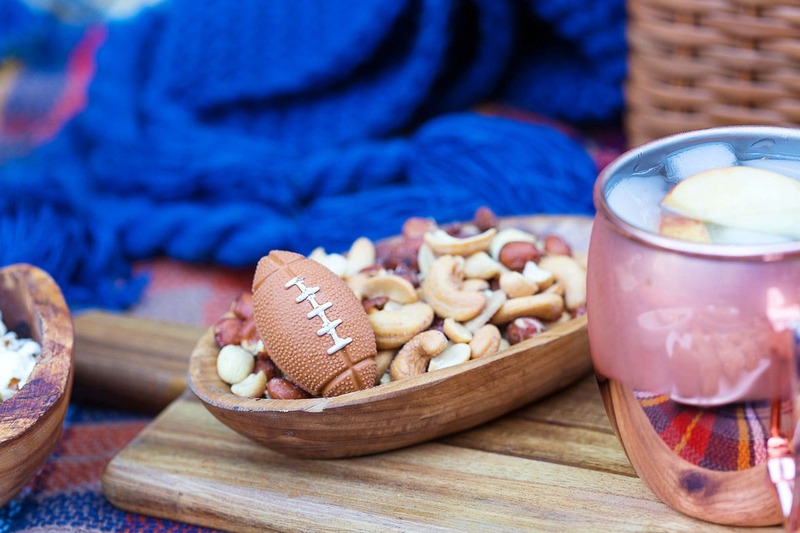 Now that football is in full swing and the temperatures are starting to cool down (at least in some places), tailgating is on the brain! I love tailgating. I grew up in the South where we view tailgates as the perfect excuse to throw another party, make our favorite recipes, and enjoy time with friends. 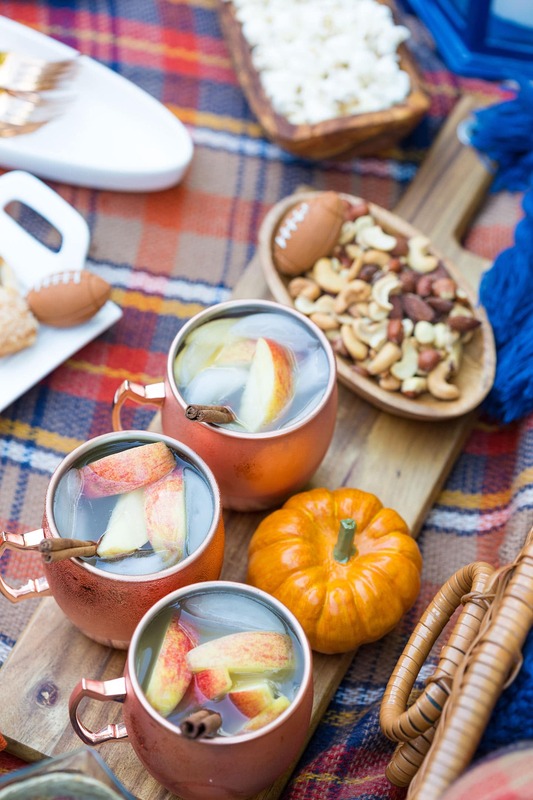 So if you’re headed to any games (or just watching from home), I wanted to share a little fall tailgate party inspiration for you! With George included, of course! 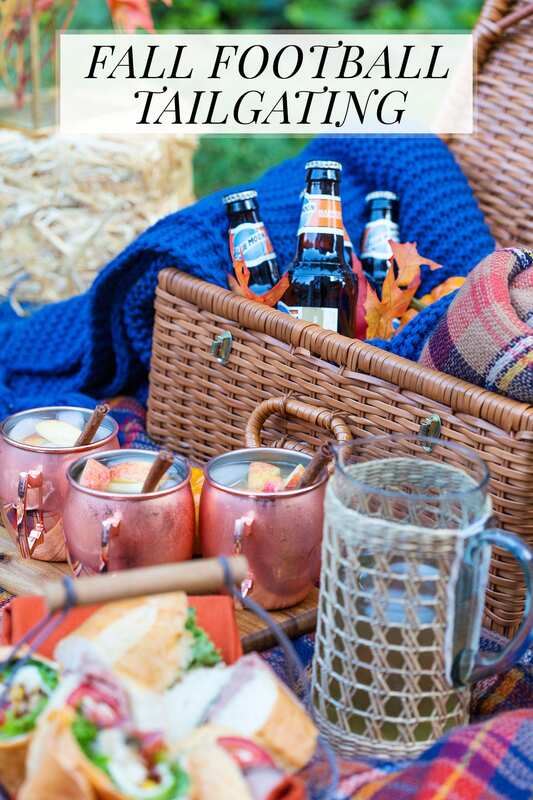 If you’re setting up a tailgate on a fold-out table (commonly the case), the tailgate of your car, or just on the ground, grab a few throw blankets. I love fall throws (surprisingly, this one I used is a scarf throw that I’m using as a throw blanket). It’s the little things, guys! If you’re tailgating at night, take LED flicker lights and place directly out in your tailgate area or placed in lanterns. You’ll instantly up the ambiance! Plus, you can reuse these for later games or at home. This is an easy addition to your tailgate party, and beats using your cell phone as a flash light to try to see your food. Been there. Now, these I call “filler”. Mini pumpkins, mini footballs (from the party store or any craft store), and more cozy blankets! Fill these things in around your tailgate. Tuck in mini pumpkins on your food trays. Place the little footballs throughout. Add in more blankets in picnic baskets to sit around on. You get the idea. It’s these little things that give your tailgate that “I thought this one out” look! My next tip is serving fabulous food! Tailgating really is all about the food. You don’t have to serve all “football themed” foods. Just pick your favorite snacks and in maybe one or two football yummies. Here is a list of some of my favorites. Reference it whenever you’re headed to your next tailgate! 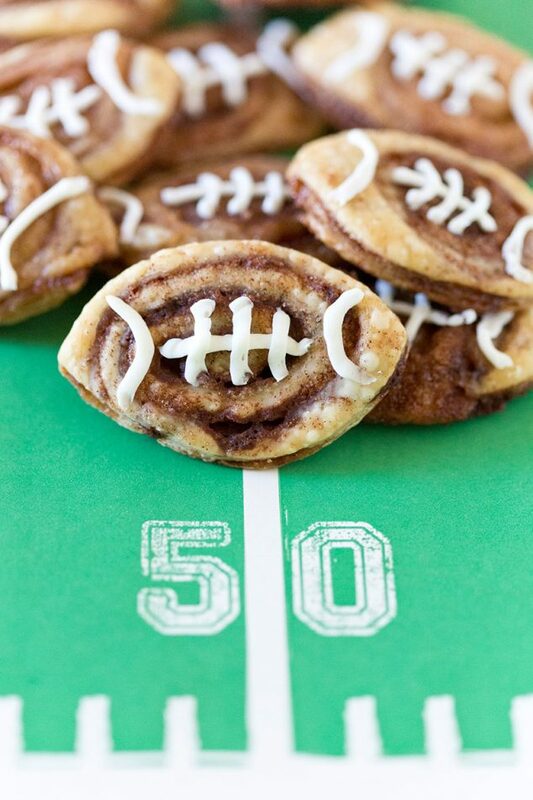 I love these football cinnamon roll cookies. They’re especially great for those early morning games. Football Brownies (served in cute mason jars)! Set up a DIY Sandwich Bar, football style of course. Love these Honey BBQ Chicken Wings! 5 Minute Dip is a great last minute addition to any tailgate. Give the typical pigs-in-a-blanket a football twist! 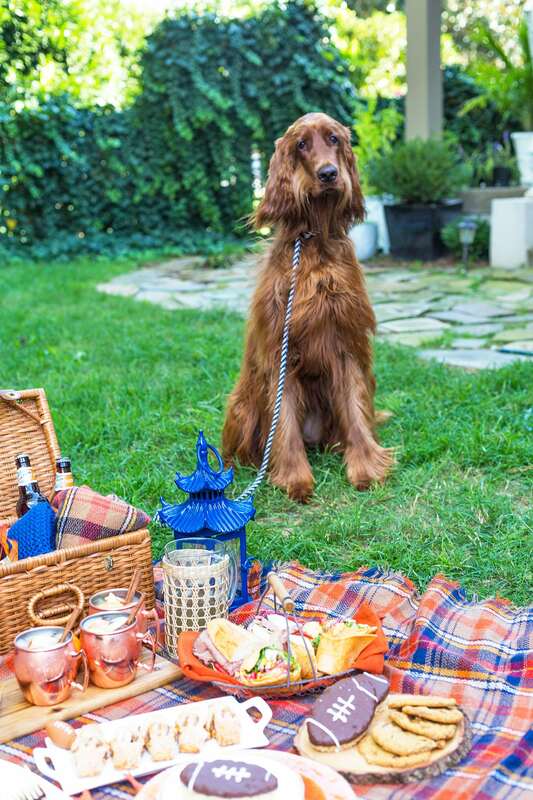 I hope you’re inspired to jazz up your tailgates whether it’s using my decor ideas above or trying one of the recipes I shared. I love a good football game, but I love tailgating more so might as well make it fun and delicious!